Headwaters MB advised Nwestco LLC (“Nwestco” or the “Company”), a leading equipment distributor, installer and maintenance provider to fuel stations and carwashes in the Pacific Northwest and Rocky Mountain regions, on its growth capital investment by WestView Capital Partners (“WestView”). Terms of the transaction were not disclosed. Founded in 1987, Nwestco is the leading distributor, installer, and service provider for key premium brands in the petroleum, c-store, and car wash equipment industries across the Mountain West and Pacific Northwest. Nwestco offers a comprehensive portfolio of over 2,000 products through relationships with over 200 equipment manufacturers and delivers installation and ongoing maintenance services with a base of nearly 80 skilled technicians. The Company’s brand relationships include Gilbarco Veeder-Root, VeriFone, Franklin Fueling Systems, OPW, Xerxes, Turtle Wax, and more. In addition, Nwestco manufactures and distributes a proprietary line of underground storage tanks via its Wilray Manufacturing subsidiary. Nwestco is headquartered in Kalispell, Montana, with branches in Idaho, Washington, and Oregon. Petroleum, c-store, and car wash equipment supply and service is a highly competitive industry requiring broad technical capabilities, customer and supplier relationships, and a commitment to customer service. Nwesto’s dominant position in the Mountain West and Pacific Northwest, combined with the capital strength of WestView, provides an ideal platform for regional consolidation and footprint expansion. "I started my career 30 years ago as a District Engineer at Shell Canada, where I oversaw all maintenance and construction activities for over 220 gas stations and car washes. With that experience, I learned firsthand the importance of having a reliable, high-quality fuel and car wash equipment and service partner – particularly in hard-to-reach territories. 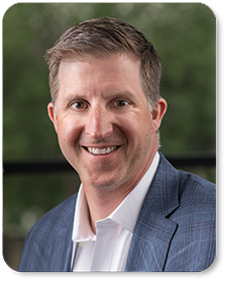 Nwestco is one such partner and is well-positioned to continue its growth trajectory under Tim Gibbar, a true leader in the industry,” said Carlo von Schroeter, a Managing Partner at WestView, who will join the Board of Directors at Nwestco.